Flagpoles are the pillar of Intrack. 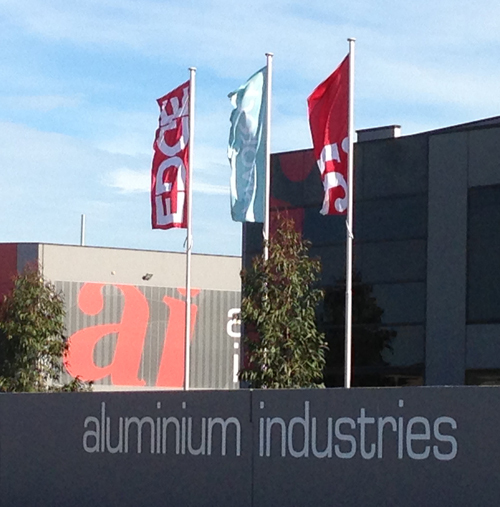 We’ve been manufacturing and installing high quality aluminium flagpoles in Melbourne and across Australia since 1996. And we still love it. 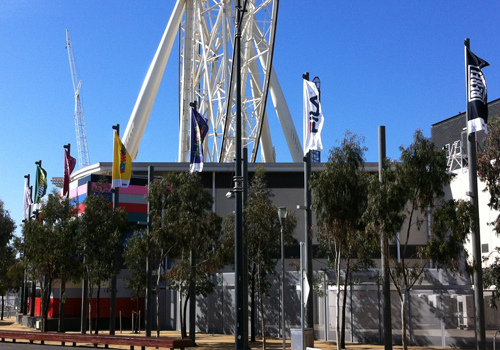 Intrack offers a full inventory of flagpoles that meet strict Australian Standards. With plenty options for size, finish, internal or external cleats, rotating or fixed finials, and more, we’re sure to have what you need. 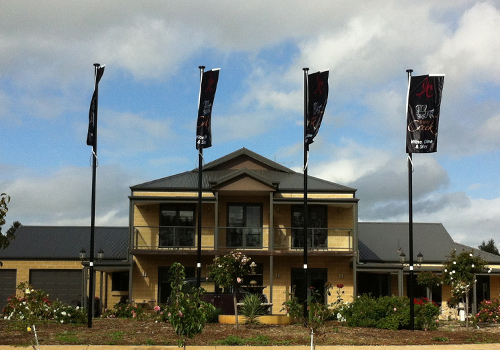 Intrack’s Garden Master flagpoles allow customers to fly a flag at home. Elegant and economical, these flagpoles make a lovely addition to any home’s landscape. Intrack’s 6.0 metre internal halyard flagpole comes in either tapered or untapered versions. The internal halyard prevents theft of flags and reduces noise pollution by keeping the roped inside the pole. Plus, they’re super easy to maintain. 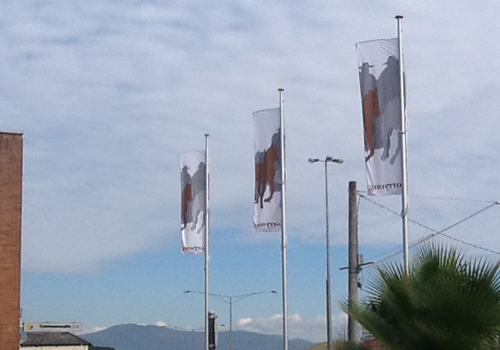 Intrack’s 8.0 metre internal halyard flagpole are grander than the 6.0 metre and can fly a larger flag. 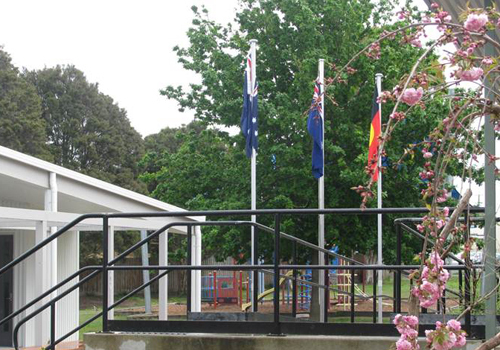 It’s a favourite for local councils, embassies and businesses. These beautifully engineered flagpoles have the same benefits as the 6.0mtr internal halyard, just bigger and more grand. The Intrack 10.0 metre flagpole offers an elegant shape and nice height, ideal for displaying flags for different occasions. Tapered in shape, the flagpole is designed to slip off its base (frangible) in the event of vehicle impact. Intrack’s rotating arm (rota arm) flagpoles deliver a simple concept, proven to deliver. 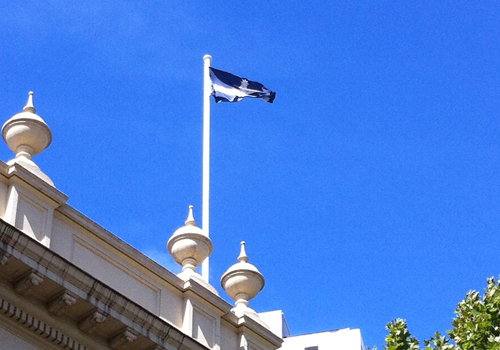 The flag always appears to be flying and helps extend the life of the flag. Another Intrack tapered flagpoles is our stepped flagpoles. 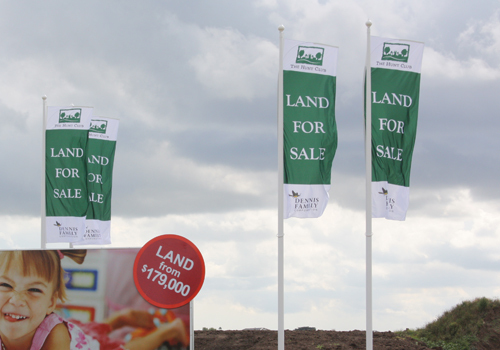 Easy on the eye and long lasting, Corporate Stepped flagpoles are a first choice of companies and organizations. Stylish and functional, these poles deliver. Your corporate brand and message are communicated clearly to traffic passing by.